There are men in the churches who will tell you (for example), “All you people here, stand up. I am going to give you the power, the anointing…” Then, they gesture with their hand and blow everybody down. I am sure you have seen things like that on your television. Tell me brethren, is this working repentance in the people? Is this turning them to God? No! I watched those people. They come back the next night and get blown down again. I remember when I first started in the ministry, the first time I ever got up in a church to preach. As I began to speak, the whole church fell down on the floor and could not get up. For two hours they were moaning and confessing their sins before God. I did not tell them to do that. As a matter of fact, I was frightened. I did not know what had happened. I saw people on the floor, but souls were blessed and all sinners saved. The whole work was done without me doing anything. It was God’s will for that day with that congregation. Another time I went into a hill country to preach the Word of God. As I was preaching, the people began to mock me. The more they mocked me, the more something rose up inside of me until I felt like laughing. I knew that when people mock God, God is ready to do something. They all ended up on the floor. It took a long time praying before God sent a man my way to show me exactly what was happening. The reason I believed him was because God was the only one who knew what I was praying about. God came to me through this man and said, “Tell Me, what do you want? Do you want to humiliate the people by making them drop on the floor, or do you want to bless them? Which one do you prefer?” I said, “Oh God, you know that I want to bless them!” God replied, “Well, then stop expecting them to fall down and pray instead that they will be blessed.” And so I did. I started praying that the people would be blessed. I began to see all kinds of blessings happening in my ministry. The “knockdown” business stopped however, and only in rare cases (when God wants it) people would fall. I happened to see a coven of witches also in the US. Some of you are saying, “Oh, it is only in those dark places like Jamaica that those things happen. That cannot happen here!” However, let me tell you what happened in Lima, Ohio. There is a group in Lima that we used to minister to. There was also a coven of witches in the same town. They were what we call Satanists. There are many, many different types of satanic people. Some do one type of thing and the others do another type. This particular group drinks blood and makes sacrifices. We also suspect they make human sacrifices at certain times. They were against these Christians where we ministered and were always talking about putting a spell on them. The brethren, however, were strong and so the witches could not manage them. One day, there was a Full Gospel Businessmen’s Convention held in Detroit. This group of Christians decided to go to this convention. When they arrived, lo and behold, who did they see sitting down in the row before them? The coven of witches from Lima! They were sitting in the Full Gospel Businessmen’s Convention meeting! The brother, who led the meeting, got up and said, “Everybody turn around and lay hands on the person beside you.” The witches stood up as one man and began to lay hands on the people. The people began to fall to the ground. They even lined up in order to get this experience! Everybody they laid hands on hit the floor! Tell me now: what were these brethren getting? Were they getting God? No! They were being zapped by the devil and it was going on until the brethren from Lima had enough of it, ran up to the leader of the meeting and said to him, “Look at what is happening! These are witches!” The leader would not believe them and so the witches had a heyday knocking the poor people down. These Christians had no discernment and they allowed the witchcraft to happen in their midst! There was at one time a school in Los Angeles, California where you could go to get certain spiritual powers. All you had to do was promise to pay them a certain amount of money. This is being done to this day. People are receiving spirit guides and these guides are giving them power to lay on hands, speak the word, and knock people down to the floor. In Exodus 7, Moses appeared before Pharaoh. It says in verses 11 and 12, “Then Pharaoh also called the wise men and the sorcerers: now the magicians of Egypt, they also did in like manner with their enchantments. For they cast down every man his rod, and they became serpents; but Aaron’s rod swallowed up their rods.” “The magicians” do great miracles. There are many men and women today doing miracles which are not of God. They are of the devil, and we, the Christian church, have to be very careful that we understand this, so that we do not call every miracle that we see to be of God. We can understand that we are in the time of II Thessalonians 2:9. 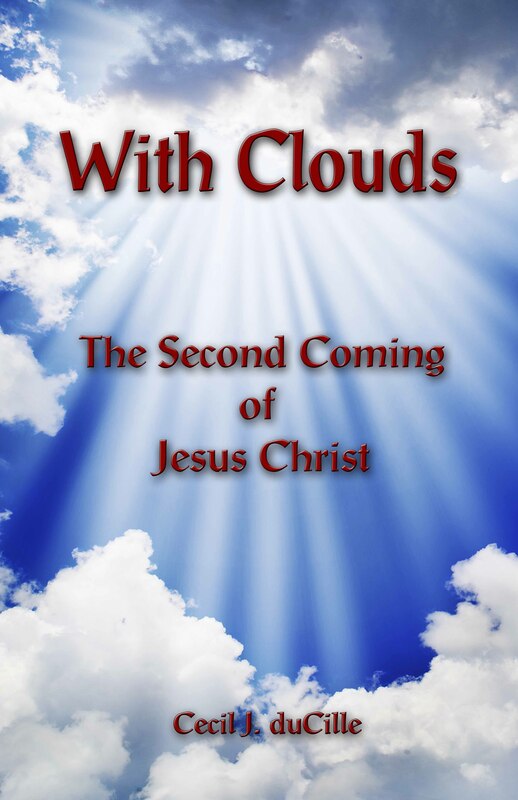 “Even him, whose coming is after the working of Satan with all power and signs and lying wonders.” There are true signs and wonders done by God’s people through the Holy Ghost, but there are also “signs and lying wonders” being done by the forces of Satan. Brethren, let us be wise and discerning.